I also have a vague recollection of being fascinated in those early days by an article on origami by Martin Gardner in Scientific American, presenting 10 models of which 2 still stick in my mind – the donkey with panniers and the shrimp. I was impressed with them, though many modern folders would frown on their design as they both involved cuts. But they were fairly advanced models for their time. Japan gave the world the word “origami”, which means paper-folding in Japanese. The kanji (one form of Japanese) characters for origami are 折纸, which means paper folding ( 纸=kami = paper,折 = ori = fold). Incidentally, these are Chinese characters which mean the same thing in Chinese, but the Chinese used a different character for “folding”, thus in Chinese it is 摺紙 (pronounced as zhezhi), but the meaning remains the same. Paper was invented by a Chinese official known as Cai Lun in the first century CE (or AD). It was brought to Japan by a Buddhist monk in the sixth century CE. It is likely that paperfolding was practiced in these countries after paper became available, but they were initially expensive and folded objects were used mainly for religious purposes. 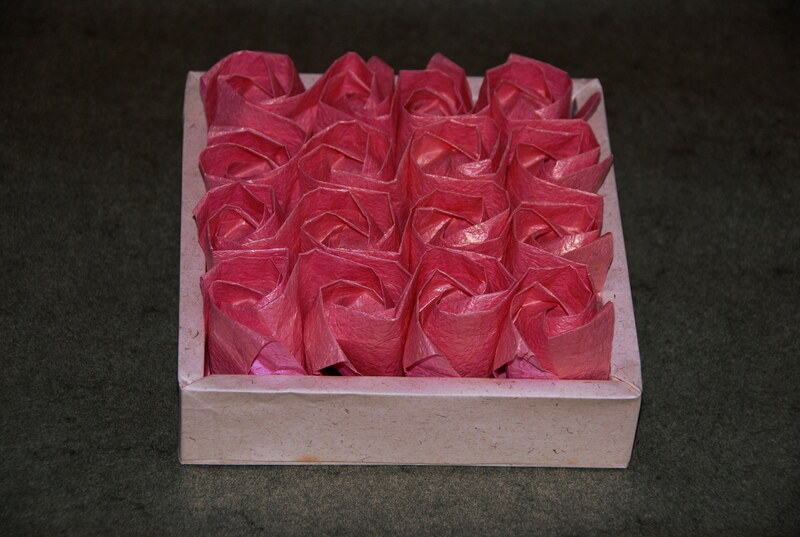 It is believed that the art of paperfolding was brought to the west by the Arabs around 8 to 12century CE. Origami as we know today developed from the 1950s. A standard set of origami symbols developed by Akira Yoshizawa and Sam Randlett facilitated the publishing of origami diagrams, which helped to popularise origami. This became an international “language”, and today even complex models published using these symbols that can be “read” independent of language. Origami remained an art form of folding an object with one piece of paper usually using no cuts or glue. The traditional bases remain the starting point of many origami designs, these being the bird, fish, kite, frog, waterbomb, preliminary and windmill bases. 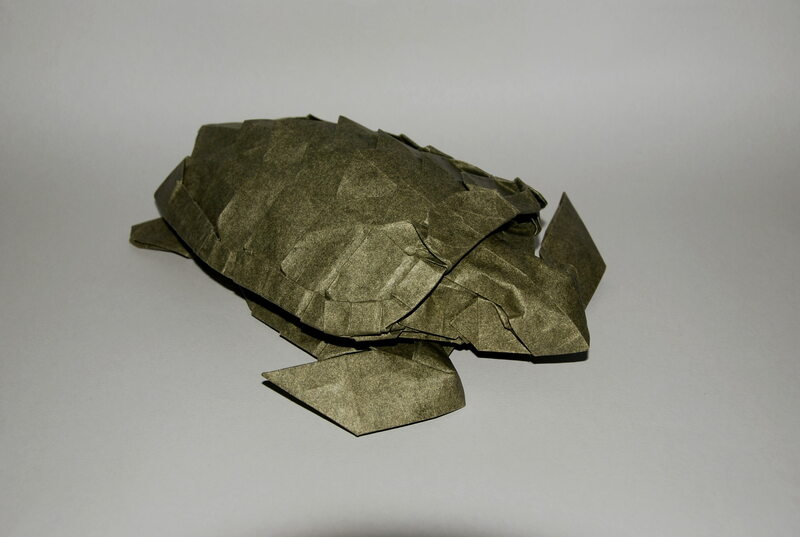 With a better understanding of the mechanics of origami design, including grafting and circle-packing, origami artists the world over challenged each other to design increasingly complicated objects with more and more appendages of various kinds, for example insects with segmented body, 2 pairs of wings, 6 legs, 2 pairs of antennae and mandibles. And still keeping the correct proportions of these creatures. The use of computers has aided the modern day artist in these tasks. Origami today can be classified into different types. 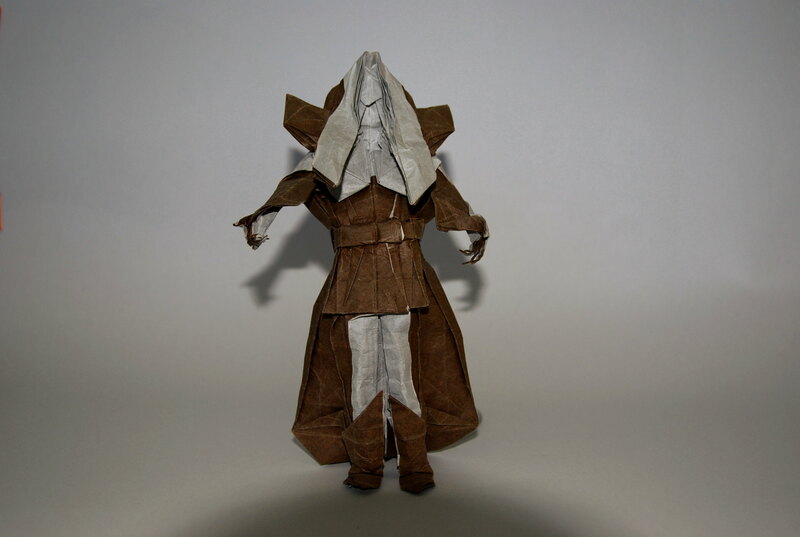 Besides origami from traditional bases, models can be designed using pleat folds. This method allows the designer to develop complicated shapes as multiple appendages or “bumps” could be teased out. It also facilitates the adding of details like scales and plates, like Robert Lang’s koi with 900 scales. Modular origami involves assembling of objects (usually geometric) by joining together many like pieces sometimes with the aid of joining pieces. The finished objects are usually polyhedron-based models of varying complexity. Tessellations are intricate designs of repeated or radially symmetrical patterns made up of geometrical shapes on a flat piece of paper, though some of the shapes may be three dimensional. In the origami world, there is sometimes debate over whether origami is an art or a craft. Whatever it is, origami can be enjoyed by everyone given the wide variety of origami designs available in books and on the internet. I hope this site can contribute to the joy of folding origami. amazing work. I’m looking to film and make miniature origami monkey for CNY. can anyone point me to the right artist to do this?